Sony did a solid job with its DualShock controller for the PlayStation 4. But you might want something that can be better tweaked to your liking or just have a completely different feel. Fortunately, there are some excellent third-party choices that may be just what you’ve been looking for. Here are four of the top alternatives. The Revolution Pro Controller is an officially licensed gamepad with some welcome tweaks when compared to Sony’s DualShock. It certainly wins in the looks department, with a swanky LED below the right analog stick. More importantly, the D-Pad has larger wings for better control and the triggers and shoulder buttons have been contoured for maximum comfort. Just like the stock controller, there’s even a touchpad and a share button. 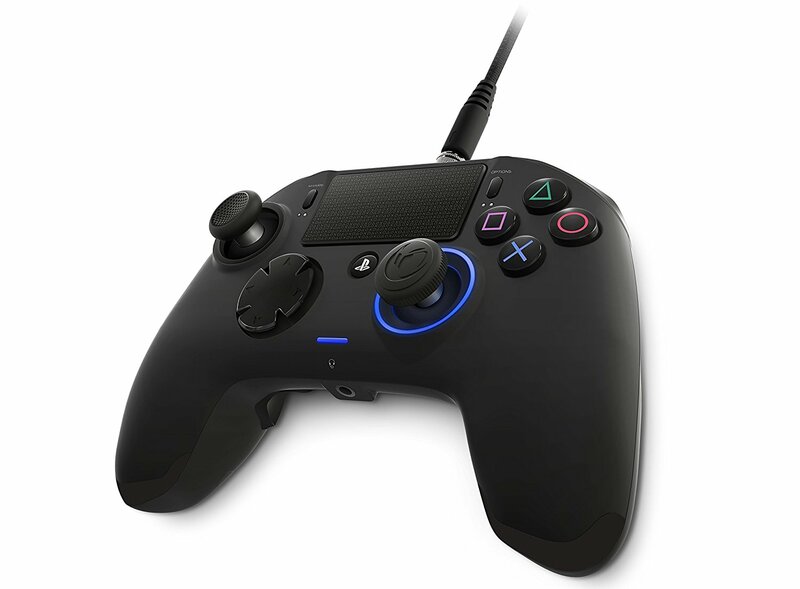 The Horipad FPS Plus features a target button with three levels of sensitivity and thumbsticks with larger grooves to keep your thumbs comfortable. It doesn’t have some of the fancier elements of other controllers like the lightbar function, but it does have a clickable trackpad, which makes it unique. Overall it’s a solid choice for those who just want a comfortable, easy-to-use controller. 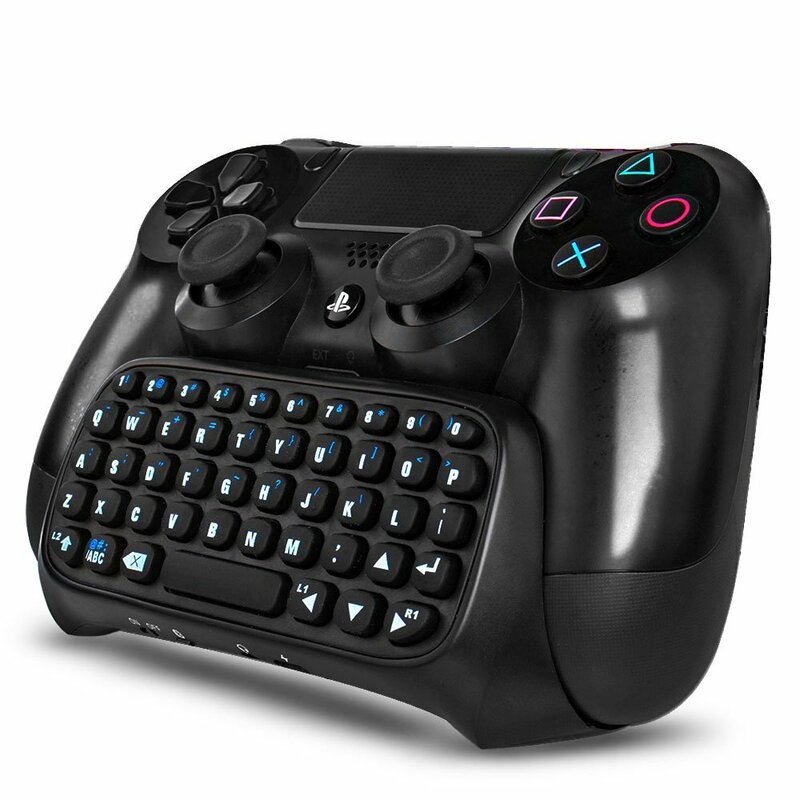 This isn’t an actual controller, but rather a mini-keyboard that attaches to your PS4 controller so you can type derogatory comments easier. It features soft-touch keys and doesn’t get in the way of using the controller when attached, and it is easy to disengage if you’re not feeling chatty. 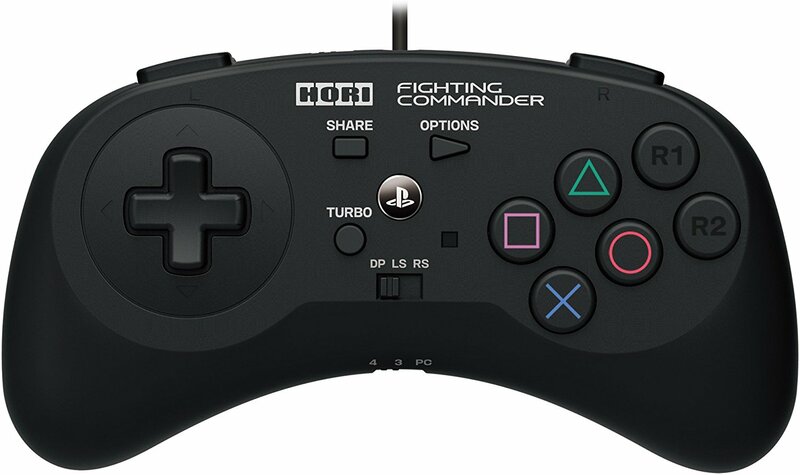 The Hori Fighting Commander is a wired controller for those of you who specialize in 2D fighting games. 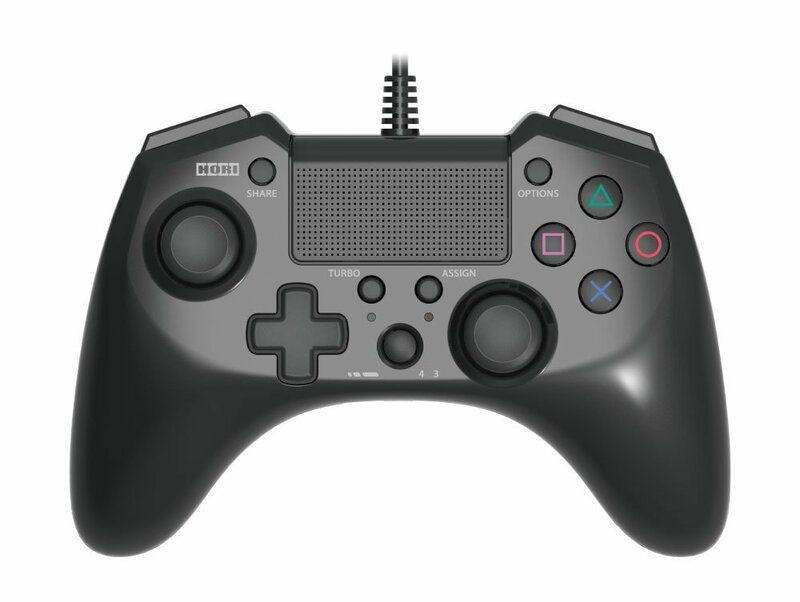 It offers a wider design than the standard controller along with the necessary six button layout. You can customize the functionality of its D-pad, and it even has a Turbo function as well.